Don’t local politicians deserve to be judged on what they do — or what they don’t do? If we dedicated even part of the political brainpower we spend on Trump to local elections and government, we’d be a lot better off. NJ’s Jimmy Olsen has come along way from reporting on Gumbo Cook-offs down in Whiskey Bay where he was paid in King Cake. However, views on where we need to be focused locally on politics is spot-on. As me move into the 2018 local elections we’ll see Delaware democrats running for local offices spouting-off about President Trump’s sometimes bizarre political behavior . For sure these candidates will come out swing on what they are for such as lower taxes better healthcare, jobs, better pay, improving schools and on and on with the same old political playbook. As for local Republicans! They will be on a fool’s journey running on the coattails of President Trump. I’ve always said, “to take back a nation we need to do it one state at a time”. The existing of the federal government should be for national defense and supporting the better needs of the state without intruding on the states’ sovereignty. 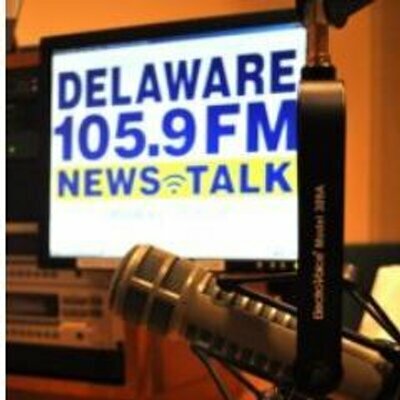 Delaware economy isn’t well enough to support the needs of its citizens and a desirable place for business to relocate to. New Castle County has become a broken-down dirt hole. It’s become the wild west when it comes to crime and cleanliness. The push for college or career readiness is a bit of a joke! Delaware lags behind many states in creating well paying jobs and attracting good paying manufacturing jobs. Delaware public schools have amazing teachers who have become pawns in the obsession to reform Delaware public schools. Former Governor Markell obsession with transforming Delaware public schools into a world-class education system was complete predicted failure. The likes of Rodel have bought their way into dictating education reform. Sadly to say, many local politicians democrat and republican bought into to Rodel. In my opinion, every candidate that has political $$$ contributions traced back to Rodel should be exposed. I’ll end the rants and close with this. Keep an eye of those running for local offices in 2018. If the use Trump in their campaign platform positive or negative you’ll see a candidate that isn’t focused on Delaware needs. And watch the playbook of what issue they are for. Confront they on what plan they have to achieve those goals? Delaware’s failures are a direct result of local politicians who support special interest over the real needs of the people within. Good job Jimmy Olsen. And a shout to Lois Lane and Clark Kent! We miss you!